The Lawrence Avenue bus #81 stops in front of the building (east bound) & at the corner (west bound). ~ Transport publiczny → Autobus Lawrence Avenue (#81) zatrzymuje się przed samym budynkiem. Przystanki autobusowe CTA oraz PACE znajdują się przy stacji Jefferson Park CTA. 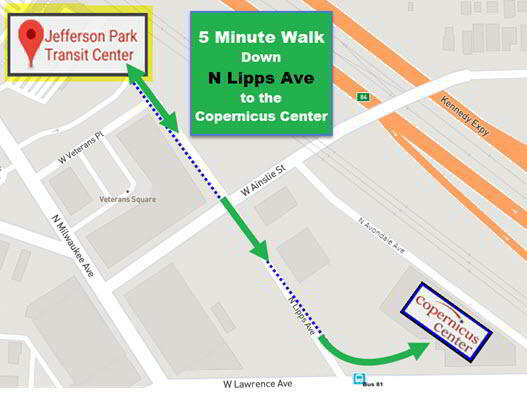 Pociągi METRA (linia Union Pacific/Northwest Line) oraz kolejki CTA Blue Line również zatrzymują się przy stacji “Jefferson Park”. ~ Dojazd samochodem → Copernicus Center znajduje się w północnozachodniej części Chicago. Nasz adres to 5216 West Lawrence Avenue, jedna przecznica na wschód od Milwaukee Avenue oraz dwie przecznice na zachód od autostrady I-90 (Kennedy Expressway exit. 84). 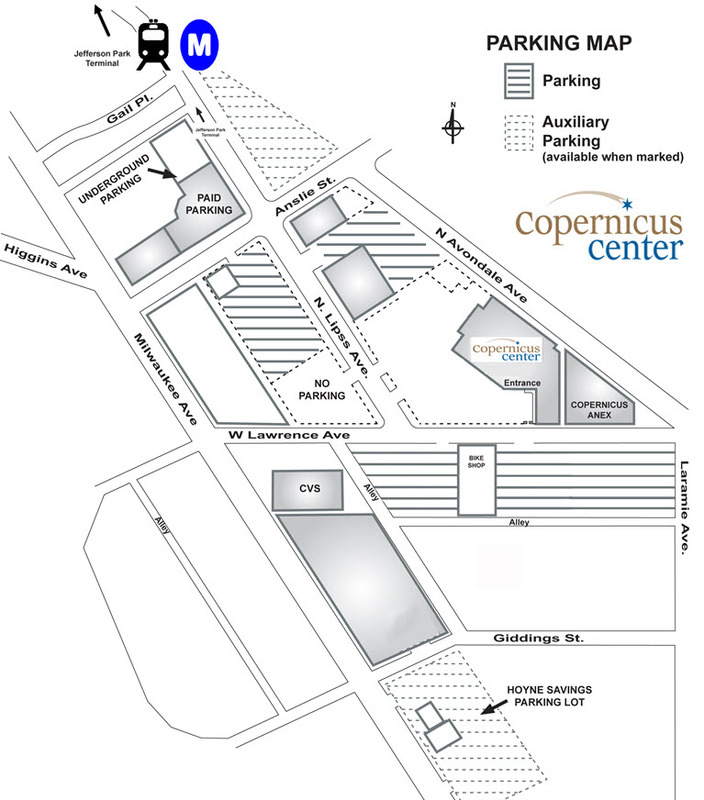 Nearby parking lots are not owned by the Copernicus Center but are notified of shows and concerts so they may open and staff them. However, we have no control over extended hours decisions. Our front gate has a shared ride pick up area during shows & concert on Lawrence Avenue (Lyft and Uber). Please Note: Northwest Business College lots are no longer available and cars will be subject to towing. 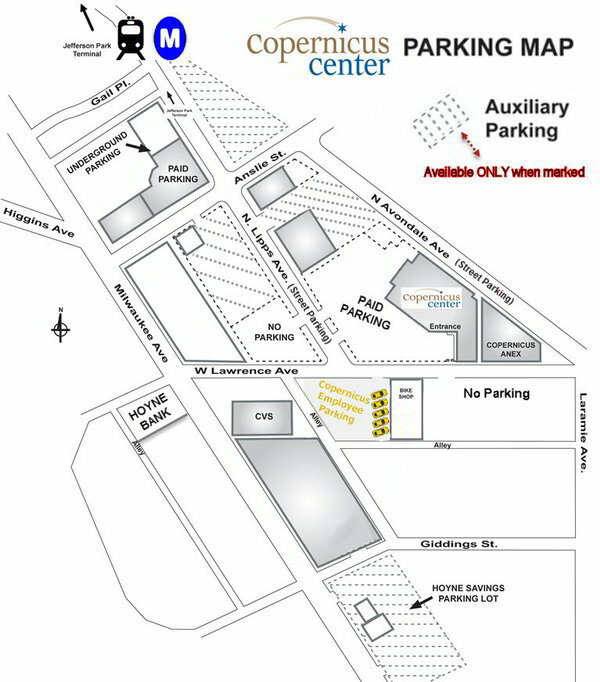 Annex parking is under commercial development and will no longer be available for parking. 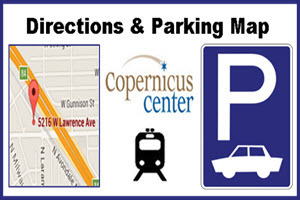 Please watch for “Copernicus Parking “ signs for directions. 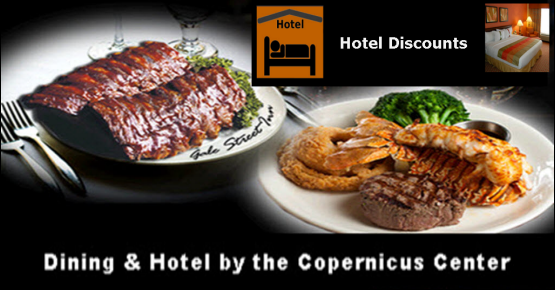 – FREE PARKING events are indicated on the event’s page. 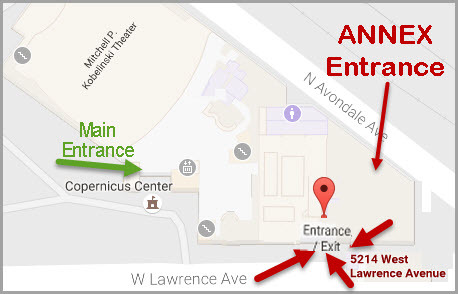 For events in the ANNEX, please use the separate door just off Lawrence Avenue [5214 W Lawrence Ave] rather than the main entrance. A coat check is available in the Annex foyer. 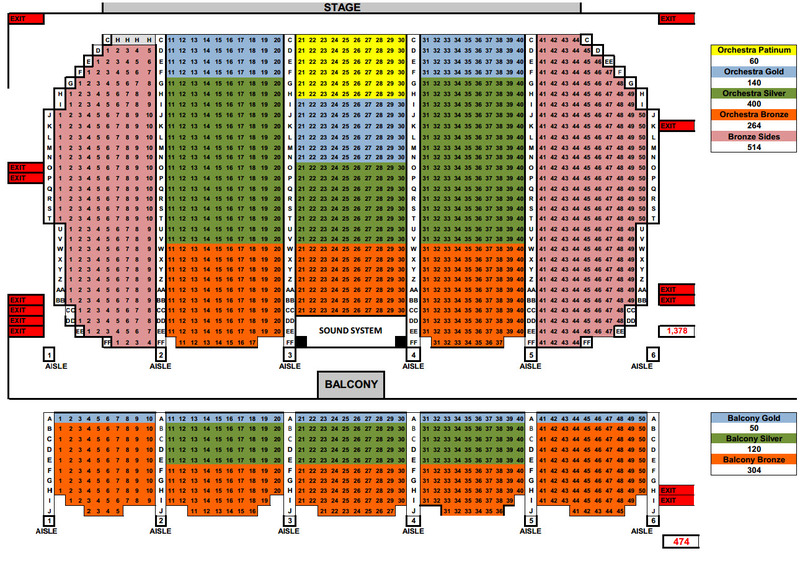 Use the MAIN ENTRANCE for events in the Theater, Lobby, King’s Hall, & Classrooms. An elevator is available in the vestibule for access to the main OFFICE & Classrooms (2nd floor) and King’s Hall (3rd floor). The Director’s office is located off the Lobby (South Lobby). NOTE: During non-event hours, the door may be locked. Please use the intercom located at the Main Entrance doors.